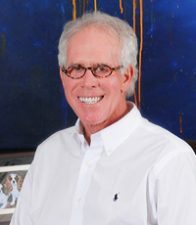 Robert Langley started in Harlan, Kentucky as a rural shopping center developer and today owns office, retail and industrial real estate in Kentucky and North Carolina. Robert also owns several Texas Roadhouse franchises in Kentucky, West Virginia, and Western Pennsylvania. Robert developed the first strip shopping center—Woodland Shopping Center—in his hometown of Harlan in 1974. After replicating his success with similar centers in Eastern Kentucky, Robert shifted his focus to redeveloping existing properties with great potential. In the late 1990s, Robert and his partners acquired the struggling Kincaid Towers office building and Lexington Green shopping development in Lexington, Kentucky. Today, those properties are the cornerstones of Robert’s real estate holdings and among the most recognizable properties in Central Kentucky. Kincaid Towers, once considered a white elephant of Lexington’s central business district, underwent major renovations in 2001 and 2002 under Langley management. Renamed 300 West Vine, the property today is a hallmark of downtown Lexington and is home to many of the region’s top professional firms and businesses. Lexington Green recently underwent its second phase of redevelopment under Robert’s ownership and is now one of the region’s top retail locations. Lexington Green is home to Joseph-Beth Booksellers, one of the Midwest’s largest bookstores; Total Wine & More, and several upscale fashion tenants.